(1) His girlfriend, a no-nonsense TV star named Dawn, expects the New Year’s broadcast of her new BET talk show to produce a long-awaited proposal from Shawn. (2) His “sort-of” ex-girlfriend, the shapely and seductive Troi, announces that she’s pregnant and coming to be with Shawn in Washington, D.C.
(3) Shawn doesn’t know if the baby is his, though he would never deny it, and now he must decide if he should tell Dawn about the baby. He simply can’t afford to risk losing his one and only soul mate without first knowing he is, indeed, the father. Shawn’s embarrassing, nationally televised confession is the centerpiece of this much-anticipated follow-up to Van Whitfield’s smash debut romantic comedy, Beeperless Remote. Taking an uncompromising and revealing look at the state of black fatherhood, this hilarious new novel includes the Official “Baby Mama” Checklist, the Why Men Are Lost Quotient, and the What It Takes to Be a Dad Inventory. With Whitfield’s trademarked witty, fast-paced style, Dad Interrupted brings back Donnie, the recovering crack addict who now works as a drug counselor; Kelly, whose crush on Shawn may finally be realized; and Shawn’s lovable parents, who spin their special brand of wisdom from the great beyond. Everybody has a take on what Shawn should do and, more importantly, who he should do it with . . . Dawn or Troi. 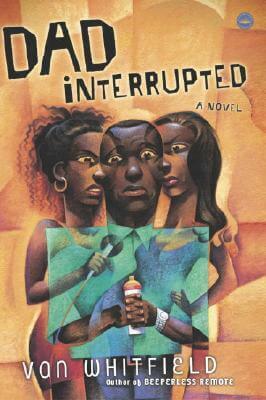 Tell us what do you think about Dad Interrupted: A Novel.